Joint marriage with two bedside tables and headboard composed of two bedside tables and headboard with two drawers respectively. Elegant and very complete our Joint marriage with two bedside tables and headboard composed of two bedside tables and headboard with two drawers respectively. Its high quality wood material solid walnut colour-varnished pine finger-jointed. This is the furniture suitable for lovers of furniture with a touch more traditional but without ruling out some details more current. It is a very easy mounting KIT and with clear instructions with explanatory guide step by step. 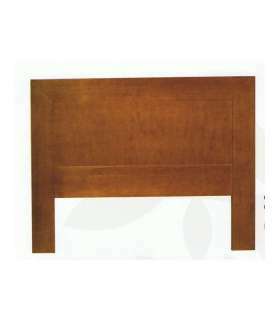 Headboard cm:110X145cm 135 or 150 cm:110x160cm headboard also.